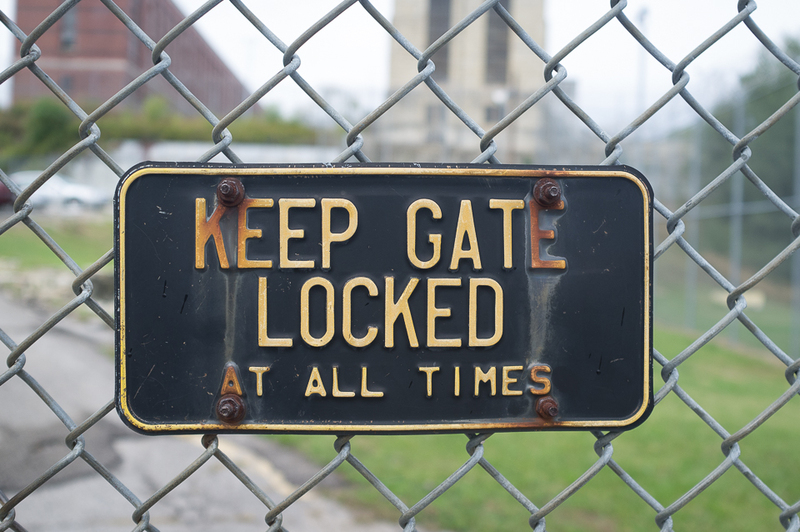 The last stop on the Missouri State Prison tour is the gas chamber where 39 men and one woman were put to death. Inside the building is a big white metal tank with a submarine-like door and two chairs inside. Prisoners entered via the door on the right, the crime victim's witnesses entered through the door on the left. Around the right side of the building is another door for family of the prisoner. And up on the roof is a tall, white smokestack to vent the gas when the execution was complete. Guards would bring the prisoner over ahead of time and put him or her into one of two tiny holding cells inside. This gave the witnesses time to enter without bumping into the prisoner outside, and gave the prisoner time to stare at the big white tank, just outside the holding cell. Repeated gate changes, weather delays, overbooked flights, stand-by status. Ugh. Traveling through Dallas-Ft. Worth has become as bad as traveling through O'Hare. Jeanie and I have started a tradition of visiting Chicago without the kids right after Christmas each year. Our wedding anniversary is New Year's Eve which is generally a lousy time to go anywhere: Everything is busy, prices are higher, hotels require multi-day stays at high rates, etc. But prior to New Year's Eve, like those first few days after Christmas, it's the complete opposite: it still looks like Christmas — all the Christmas lights and decorations are still up — but rates are low and everything is on sale. We take the train into the city (Amtrak: way easier than flying) and then just bum around: shop, eat, visit museums, see movies or shows. There's no need for a car as the public transportation system is excellent and there are what seems like a million taxis on the streets. It's a great way to relax and unwind after a nuts Christmas season. This image is the Chicago River, looking west from the Michigan Avenue bridge around 11 p.m. We had just ordered a carry-out desert (molten chocolate lava cake) at the Grand Lux Cafe and had 25 minutes to kill while waiting for it to cook. Rather than sit in the warmth of the restaurant, we headed out walking to pass the time. It was cold and windy but I don't think either of us minded. (Well, maybe we minded a little when we turned up Wabash Ave. and caught the "hurricane winds blasting through the buildings" effect. That was some serious cold.) Besides, we had something good waiting at the end of the walk. 'Tis the season to humiliate your pets. Nemo (yeah, I know: he doesn't look anything like the fish but it's a long story) on the left; Luke on the right. One was supposed to be wearing reindeer antlers but we couldn't find them — not until after the picture, anyway. 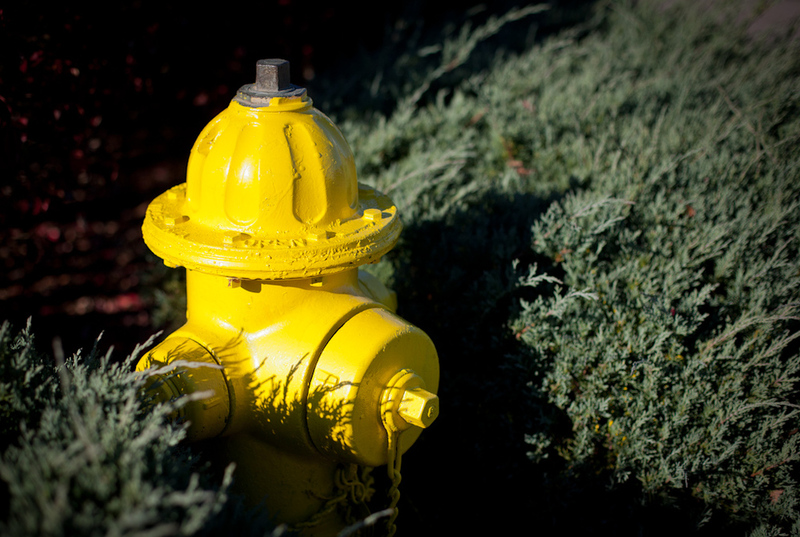 I was out for a walk the other day and noticed that the hydrants in the neighborhood seemed exceptionally bright — a loud, screaming yellow. (I think they probably were painted recently.) Anyhow, this little guy was peeking out of the bushes in a cul-de-sac median. Still, the results — while certainly not earth-shattering — are fun to watch. Update: If the video doesn't work on your Android tablet, click here to watch it on YouTube. I took a ride a few days ago on the Katy Trail, hoping to find some remaining fall color. Unfortunately, nope, the leaves are mostly gone after several days of strong winds. These images were shot along the Trail between Research Park and Weldon Spring. Of course: I've never had time to visit the Statue of Liberty until this past Thursday. Unfortunately, the Statue closed on Tuesday for TWO YEARS for renovations. Figures. However, the island is still open; you can walk around, take pictures, eat at the (surprisingly good) cafe, and visit the obligatory gift shop. And, yes, it's still well worth the visit, even if you can't go into the museum or climb up to the crown. A few photos of the Occupy Wall Street protest at Zuccatti Park in lower Manhattan. Looking out my window from the Hyatt downtown. The concrete building in the first photo really isn't quite as ugly as it appears here but it's close. It's also not really falling down. Great food to eat while watching Se7en. I know, the price doesn't seem that bad compared to going to a MLB game or a concert but the amount of beer you get for your $7 is really small. Yes, I'm cheap. Yes, it's a dancing bowling pin. Every city needs one. In downtown San Jose, CA. The Rhode Island State House in Providence. 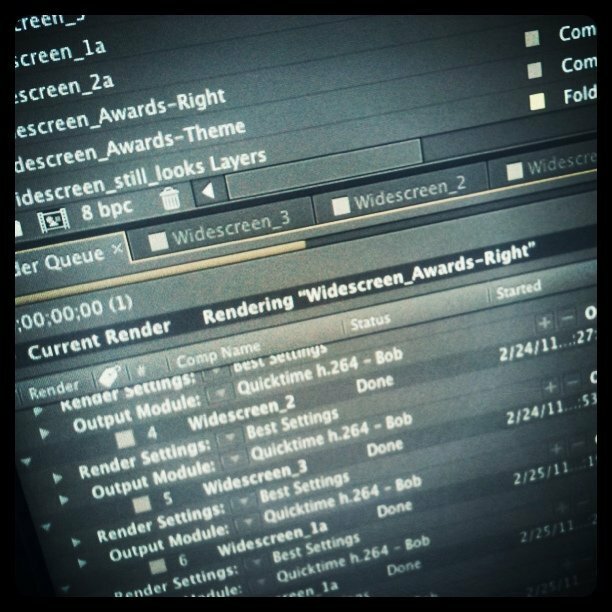 Watching the render bar crawl along. 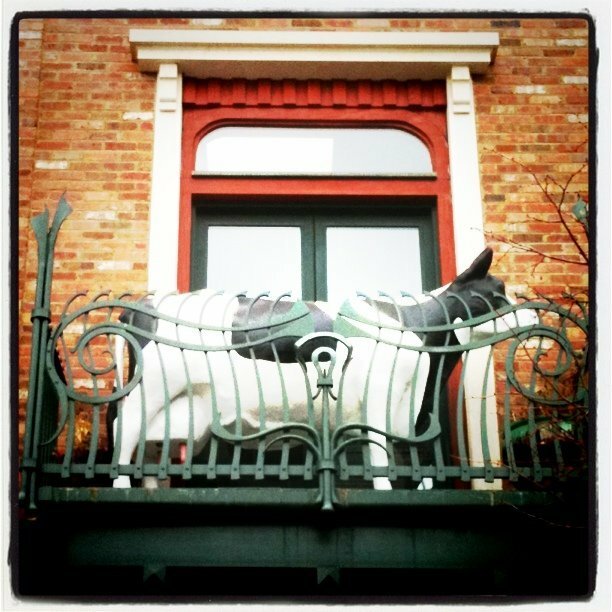 Because, really, everyone needs a cow on their balcony. 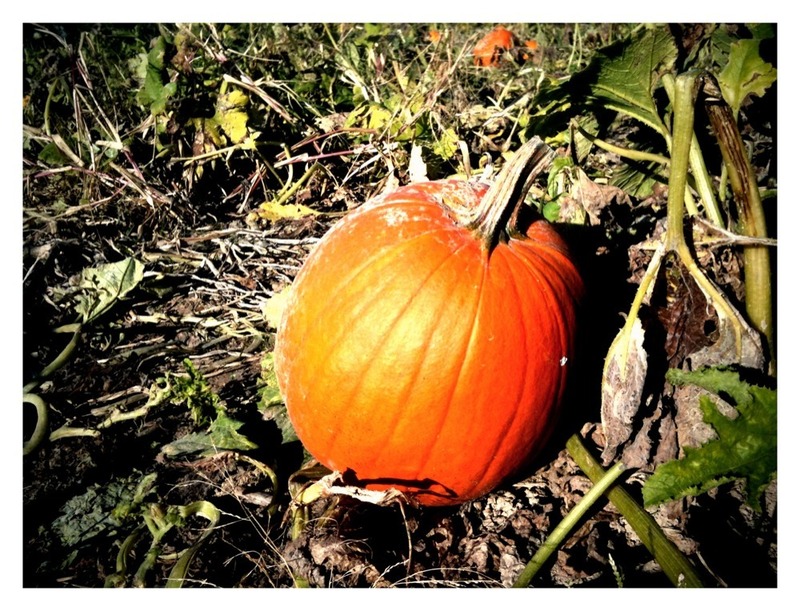 We made our yearly family pilgrimage to pick apples and pumpkins a couple weeks ago. The apples? Not so great this year. (I think we were about two weeks late for them.) But the pumpkins! 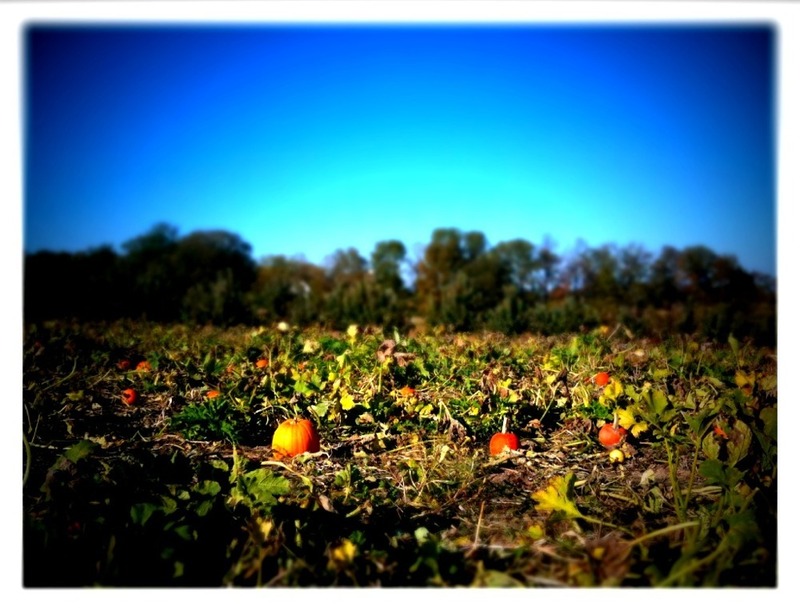 It was a bumper crop.